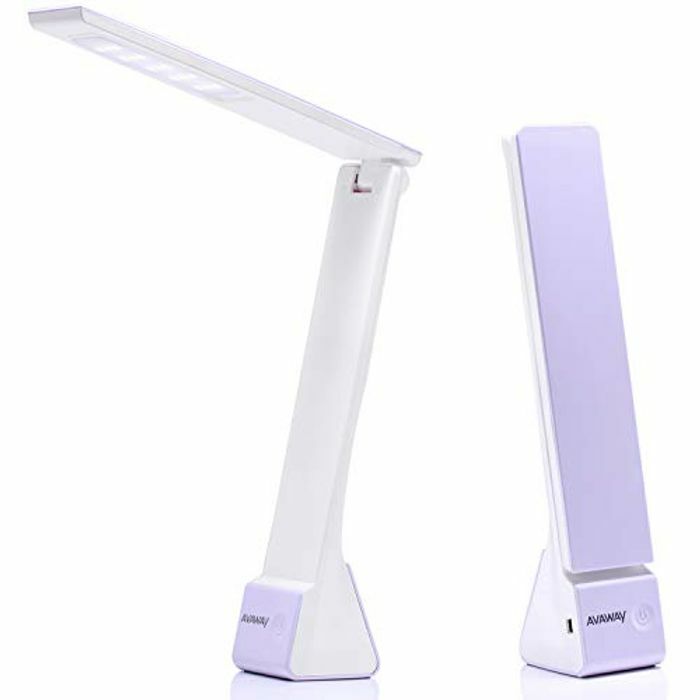 AVAWAY LED Desk Lamp is with LED technology and convenient stylish design. Having a flexible head, this office desk light can safely be rotated in the desired direction and direct light where it is needed. 3 Lighting Dimmable table light can last up to 4 hours in lighting mode 1 (warm light - 3000K), up to 3,5 hours in lighting mode 2 (cool light - 6000K) and 2 hours in lighting mode 3 (natural light - 5000K) respectively. You can plug the LED lamp in to electrical outlet, power supply, or use USB port to connect with a computer, laptop, tablet or other device. Durable long lasting and highest quality materials make this a led table lamp you will enjoy for many years. It has an impressive 2 year life expectancy. With the portable desk lamp you can easily in your suitcase, briefcase or backpack for business man and take it to dormitory, library or study room for student. I just went to share this,,lol..I'm too slow.